Raccoons can carry several dangerous diseases that can be transmitted to humans and pets including rabies, roundworm and leptospirosis. While incidents of rabid raccoons attacking humans are rare, homeowners should not risk removing raccoons from their property. All raccoons are marked with a trademark black 'mask' around the eyes and a heavily furred, ringed tail. From rainforests to city streets, these scrappy mammals will live almost anywhere. Found throughout North America, raccoons prefer wooded areas, however, they are quite adaptable to different environments as long as there is food, water and shelter available. Raccoons nest in hollow trees, ground burrows, brush piles, barns, abandoned buildings and in rock crevices. As urban sprawl replaces rural areas, raccoons have also been forced to find new living quarters in attics, fireplaces, garages and wall voids. From rainforests to city streets, these scrappy mammals will live almost anywhere. Raccoons can live up to 12 years, but in the wild they typically live for about five or six years. Mating usually occurs in February but can continue into June. The year's first litters are born in April and May. A female will only have one litter per year and it will consist of two to five young on average. Litters may be as small as one and as large as 12, however, this is rare. Raccoons are not normally considered to be dangerous, however they are extremely powerful and will attack or defend themselves if provoked. Some have become accustomed to the presence of humans, such as in parks and around cottages, and may be quite approachable, however, it is important to remember that they are wild and not domestic animals. Recently, reported rabies in raccoons has increased dramatically, and they are now the major wildlife host of the disease. 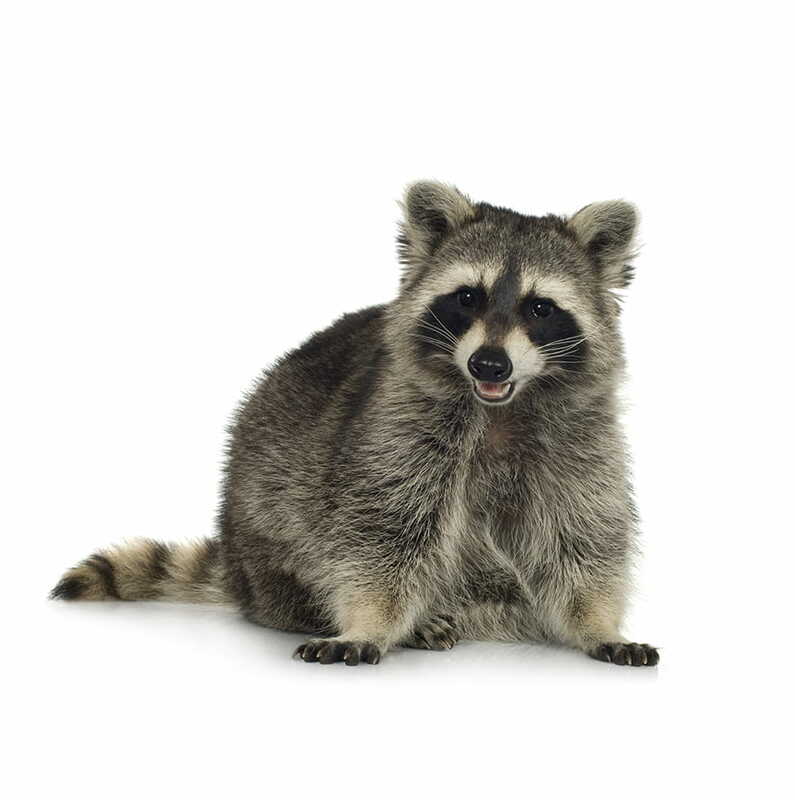 Family pets which encounter rabid raccoons may become infected and consequently become dangerous to family members. Make sure your pet has been vaccinated against rabies. for the sake of your pet and your family. How is a rabid raccoon recognized? A raccoon may be rabid if they are seen active in the daytime, if they appear to have lost its sense of balance, if they have numerous bite marks around the face, have a very unkept and scruffy appearance, and make unusual sounds similar to a hurt or distressed cat. Such animals should be reported to the police or your local animal control authority. What kind of damage will raccoons do? 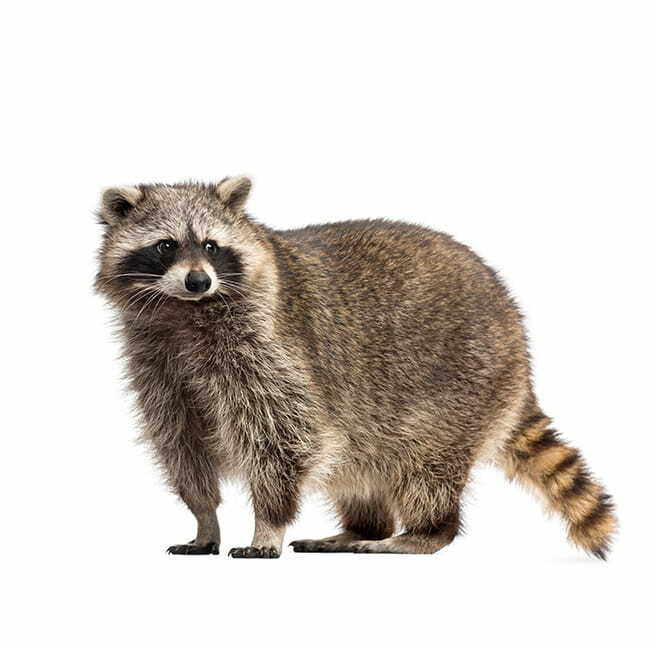 In urban environments, raccoons are more than capable of finding homes in uncapped chimneys, tearing off shingles or fascia in order to gain entrance to an attic or wall void. They are also good at tearing up lawns in search of grubs and earthworms, destroying gardens and getting into garbage cans. In attics and wall voids, the build-up of raccoon feces and urine can constitute health hazards to the homeowner. In more rural environments, raccoons can be highly destructive in and around poultry barns. No. Baby raccoons are extremely cute and are often the objects of sympathy when they are orphaned or found as strays. Consequently, they are taken into homes, as pets, by people wishing to help the animal. When someone brings a raccoon into the home, they are also bringing in numerous infectious diseases as raccoons are, literally, bags of bacteria, viruses and parasites. Also, raccoons will always revert to their wild tendencies and juvenile and adult raccoons become unpredictable and difficult to handle. How long do raccoons live and how often do they reproduce? Raccoons can live up to 12 years, but this is rare in the wild. They will normally live for 5 or 6 years. Mating usually occurs in February, but can continue into June, and the year's first litters are born in April and May. A female will only have one litter per year and it will consist of 2 to 5 young on average. Litters may be as small as 1 and as large as 12, however, this is rare. How can I prevent raccoons from establishing themselves on my property? Exclusion is the best means of raccoon prevention, because raccoons are such good climbers it is important to keep tree limbs away from rooftops. Chimneys should be capped, holes in walls and roofs should be repaired, and doors into garages and sheds should be kept closed during the evenings. Sanitation is very important. Keeping your property free from lumber, garbage and other debris will discourage their presence. Garbage cans should be made of heavy plastic or metal, equipped with tight-fitting lids with fasteners, and should be secured against capsizing. Just covering a garbage can with a lid would pose no challenge to any raccoon. It is important to remember this point: never exclude a raccoon from an area of your home if the animal has young. Desperate mother raccoons are capable of unimaginable damage in attempting to get back to her litter. Also, should the young die, the structure will be faced with a variety of new problems, namely stench and flies. Attempt exclusion if, and only if, the young can be reached and removed. 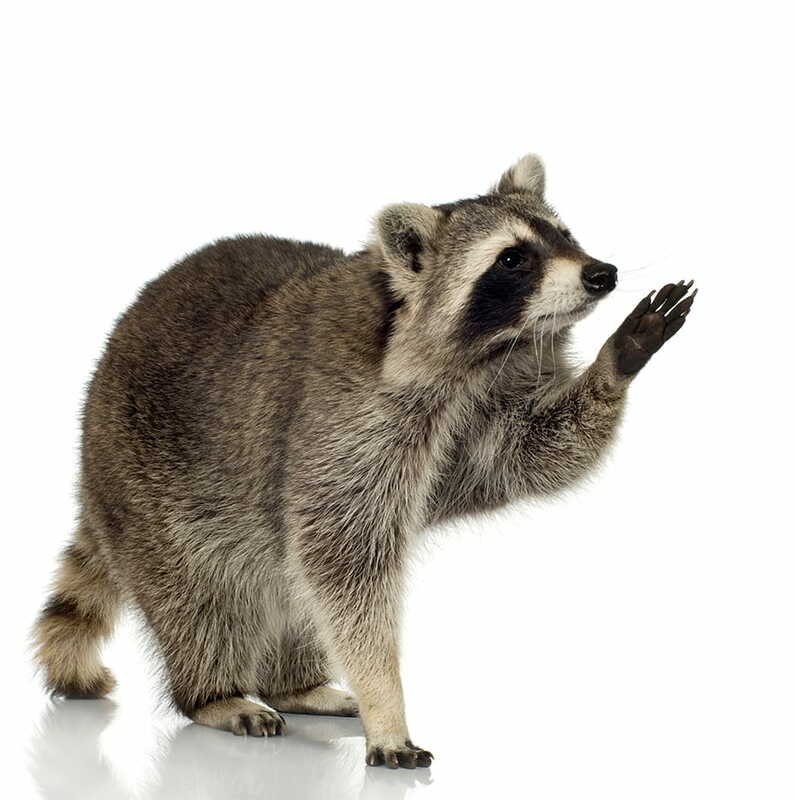 Because of a raccoon's strength and unpredictability, the threat of rabies and the transmission of other diseases, it is not recommended that the homeowner attempt removal.